My mother used to make this dish with sliced liver instead of shrimp. But it is tough for me to find friends or family members who are willing to eat liver. So, shrimp it is. 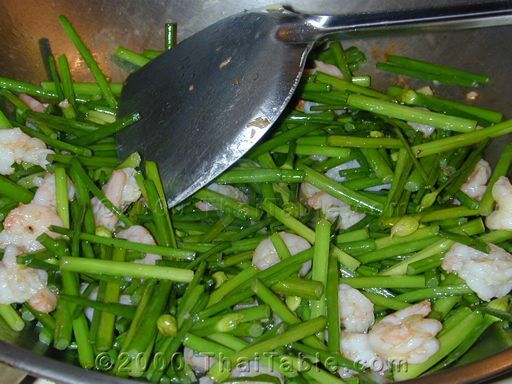 Chinese chive flowers with shrimp is an easy dish to make and reheats well in microwave. 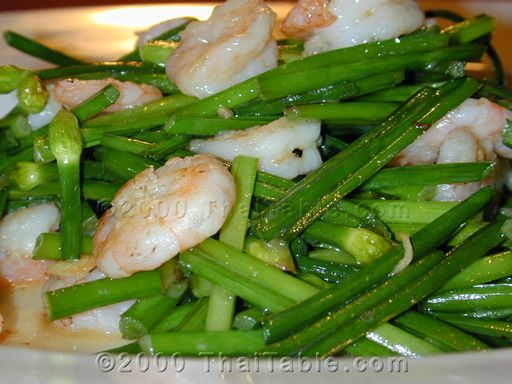 For a vegetarian version, omit the shrimp and substitute salt or soy sauce for fish sauce. Heat a wok or a pan on high heat. Add a tablespoon of oil and chopped garlic and stir. 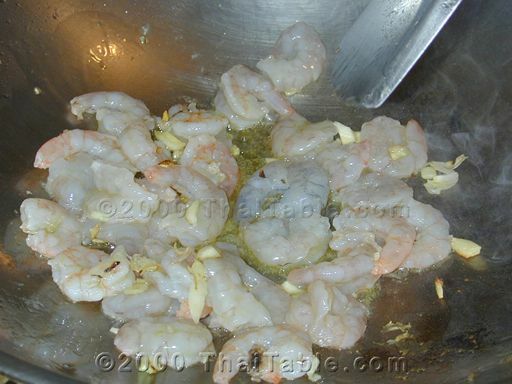 Add shrimp when the garlic starts to brown. Stir to get the shrimp somewhat cooked. 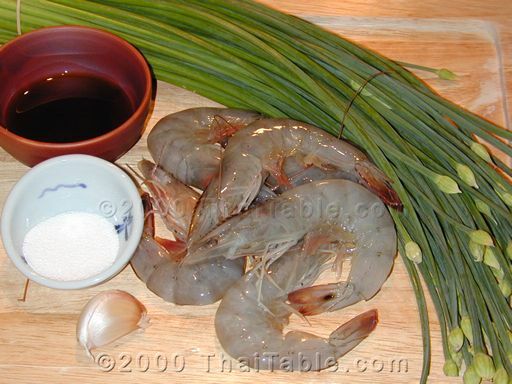 The shrimp shoud start to get pinky but not all pink or cooked. 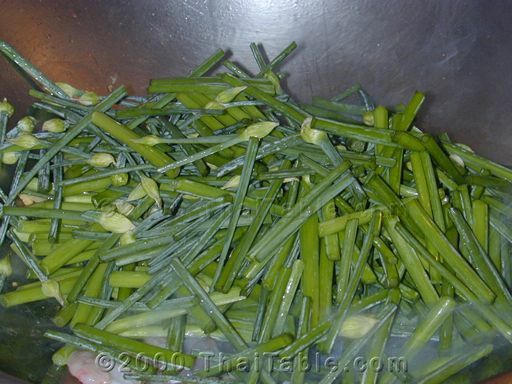 Add the chive flowers and stir to cook them. Add fish sauce and sugar. The flowers shouldn't take long to cook. You want the flowers to just cooked, but not overcooked and still retain their crunchiness. When the color turns bright green, it indicates that they are cooked. Turn off the heat and pour on a plate immediately.